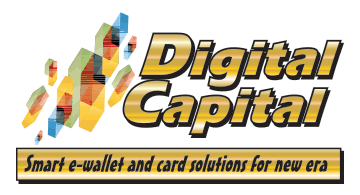 Digital Capital offers global all-in-one payment solutions. Our business approach is based to on-going commitment to excellence and integrity in providing services to our customers. We bring to customers innovation in payment solutions, with special emphasis on providing the best possible operating and security conditions. Our motto is smart e-wallet and card solution for new era.